And wow, is “the continent” different. So different that it’s inspired me to share what I’ve learned based off of my Italian experiences instead of just summarizing what I did. No, I didn’t jump on the back of a scooter and ride into the sunset like Lizzie McGuire, but I did have a great whirlwind of week filled with gelato, enough walking to destroy my trusty pair of black boots and infinite amounts of ancient relics. 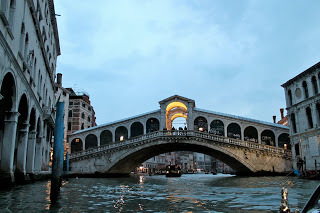 First off was Venice, where we arrived in the early morning after waking up at 3:15 a.m. for our flight (I still can’t believe that happened). 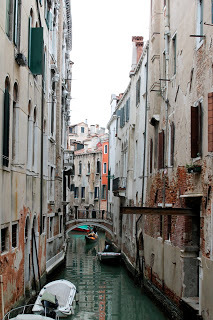 Did you know that there are no cars in Venice? Maybe I’m just clueless, but I was shocked to find that the roads are designed for pedestrians and the air isn’t clouded by smog and exhaust fumes. 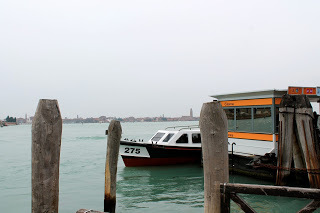 We had to take a waterbus to reach the island. It makes stops at assigned locations and rocks back and forth pretty slowly. Venice feels like Italy, if that makes sense. There are canals, which we’ve seen pictures of all of our lives. There are little streets with balconies, awnings and flowers that are trying not to wilt under the weight of the February snow. The overwhelming feel is very rustic. Every side street looks similar, so it’s easy to get lost. I actually think it’s impossible not to get lost. Man, I have good it in London with no language barrier. 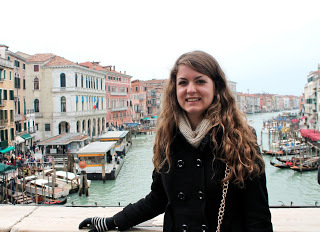 Studying abroad is overwhelming enough at times, but the fact that everything in Italy was, well, in Italian was incredibly challenging. My only tool was a Siri-esque iPhone app that played audio recordings of common phrases so I knew how to talk to people with decent pronunciation. Thank goodness for technology, right? Venice is what I like to think of as Italy’s reward to old retired couples. There are places to dock the boats they’ve spent their entire lives working for, endless mom and pop shops where they can visit their friends who sell glass items and countless bridges over canals where they can watch the sun set on their beautiful city. It’s removed from the rest of Italy and has a quiet feel all its own. I imagine Venice is at its peak in the summer. 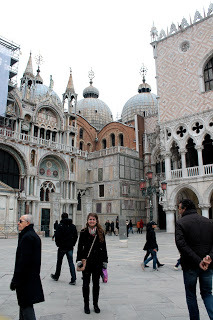 “Spring break” in Venice is a challenge in February, and sure, I wasn’t expecting it to snow. But studying abroad has taught me to be flexible when things go wrong. It’s taught me not to get frustrated and roll my eyes, but to try to laugh and go ahead with what I wanted to do anyways. 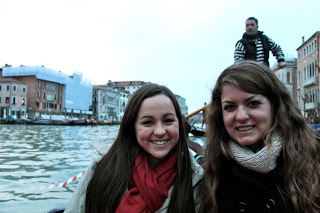 After walking around shivering to the bone, my friends and I took a gondola ride in the snow. When in Venice, right? The gondola “driver” had a striped shirt on just like I’d imagined he would. He sang a bit, but mostly talked on his cell phone. 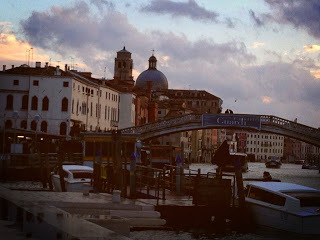 I saw the same views of Venice that endless couples have seen on their honeymoons and on dates. But I didn’t feel lonely. Studying abroad mostly makes me feel small and part of an immense web of people who have done the same thing before me for generations upon generations. As always, I turn to dessert to solve my problems. 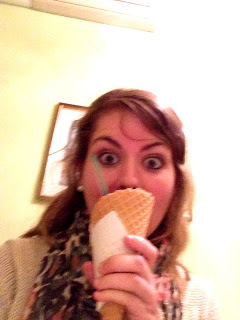 Thus began my introduction to gelato, which was one of the best parts of my Italian trip. I ate gelato almost every night and don’t regret it for a second. 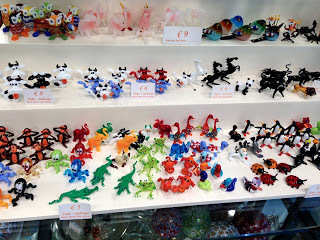 Our second and final day in Venice was spent primarily on the island of Murano, which is known for glass blowing. Our morning began early because, if Venice is a city for lovers, we heard it early at 6:30 a.m. from the room next door (if you know what I mean). 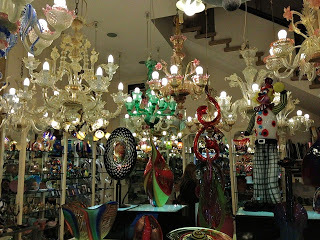 Nonetheless, Murano was full of family-owned shops where it was obvious generations of people have been crafting beautiful glass sculptures, jewelry and light fixtures for centuries. We encountered people who carefully strung beads onto bracelets and a man who took so much pride in his display of bracelets that he had to reclasp each one onto the display bar with his own hands, all while scolding us for not hanging them up properly. My four-year-old self would be envious of how well I “kept my hands to myself” so I wouldn’t break anything by accidentally knocking it over. Although it seems as though our world is largely rejecting organized religion, it’s obvious how much it still means to some people. 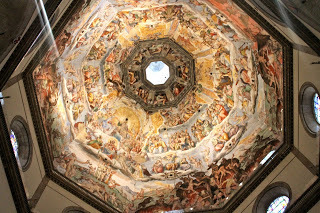 Italy is home to some of the world’s most beautiful churches and the San Marco Basilica was no exception. It was here that I began looking up at the ceilings, which I continued doing in every church we visited during the rest of the trip. 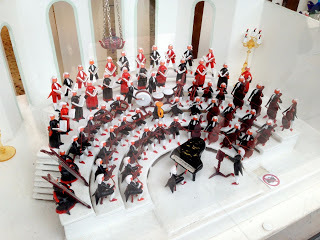 I’m admittedly a “Chreaster” and only attend church on Christmas and Easter, but it didn’t stop me from appreciating the beauty of the church and the reverent atmosphere inside. 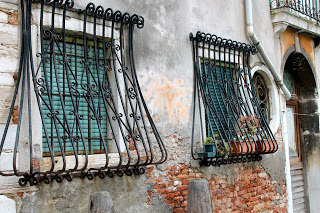 Venice first alerted me to how different Italians are than Brits. One Venetian woman touched my hair while she told me it was “bella,” while Italian men confidently approached my friends and me because we are noticeably American. Even people in quiet wintertime Venice are much louder than English people, who apologize for everything and avert your glance. But some things are the same. I noticed a child’s birthday party inside the city’s only McDonald’s and the number of kids who ran around screaming while holding their Happy Meal toys. I guess Happy Meals have universal power. I knew London was fast-paced, but coming back emphasized it even more. 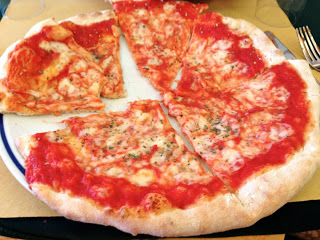 In Venice especially, I spent time tasting the pizza I ate and time turning over souvenirs while considering what my family and friends would really like. 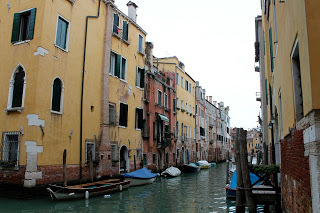 Even though I was cold, I strolled along the side streets and stopped to admire the canals. Once I got back to London, I noticed how quickly everyone was walking around me. I once again noticed how they kept their eyes down and shouldered past people in their way. I never realized how much I, too, sped past strangers to get onto the tube and shouldered past slow-movers to grab a bottle of spaghetti sauce in the grocery store. It’s more than a little weird to realize that you adopt new traits to survive in a city. The book I’m reading about Londoners often says that you have to be tough to survive in London, especially in the winter. You have to walk fast, know what you want and go after it. Most of the time I do. But I think there’s still time to stop and taste the tea without gulping it down. Time is going fast enough already. So here I am, back in London, moving a little bit slower and still looking people in the eye.